A world-full of music-making! 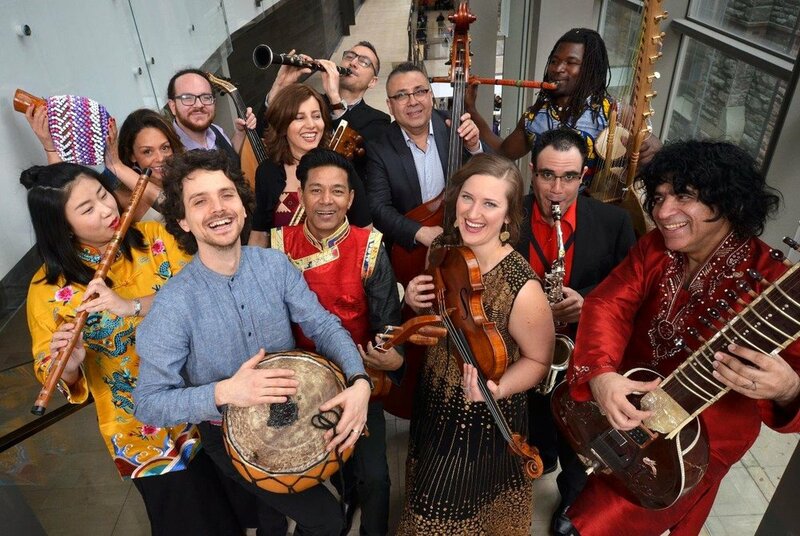 Developed by The Royal Conservatory of Music, Kuné – Canada’s Global Orchestra – is an eclectic ensemble of musicians hailing from all corners of the globe, all of whom now call Canada home. At once global and uniquely local, Kuné explores and celebrates Canada’s cultural diversity through the common shared language of music. Using over 20 traditional instruments from sitar to singing, Kuné will take listeners on a musical journey around the world and back home. Toast a new generation of immigrant Canadians and discover along with them the beauty of the Canadian spirit embodied in rural Ontario. Area newcomers share their stories as Kinsep Distillery leads spirit-tasting and chef Melissa Smeets (Mellie Rolls) supply lunch.